We aim to provide a professional, reliable, clean and courteous service for all our customers. 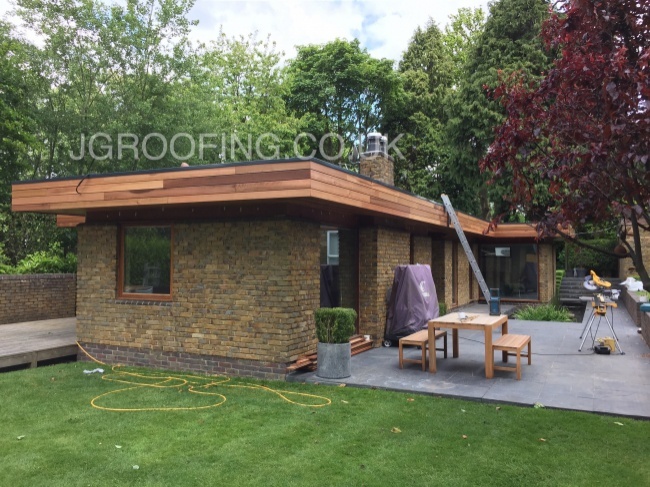 All our flat roofing installers are trained to the highest standards and are approved installers, No matter how good the product the installation is vital for that superior finish and guarantee it will never leak. 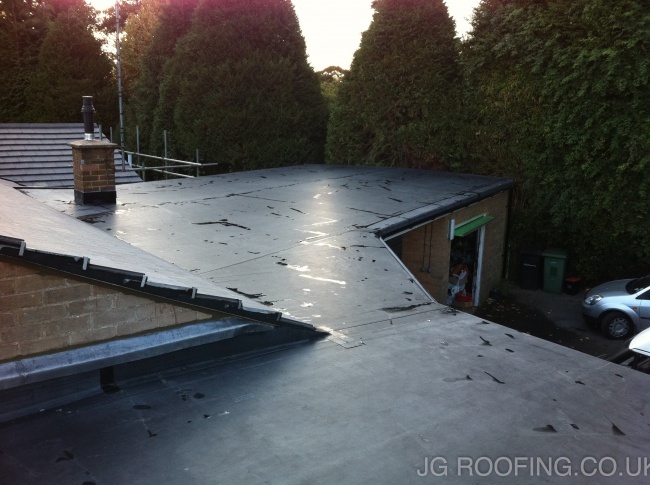 JG roofing Limited guarantee all our flat roof replacements for 20 years, insurance backed for 10 years and our Rubberbond EPDM flat roofs are proven to last over 50 years so why choose anything else? JG roofing Limited also has full liability and employers liability insurance up to £10.000.000. "Having previously used this company I was aware of their workmanship, attitude and professionalism so had no hesitation in requesting an estimate. At the completion of the works I was not disappointed as their approach, attitude and attention to detail had not changed. A thoroughly professional job." "Was extremely helpful in explaining options and costs. Did an excellent job and left everything clean and tidy. In fact, best service we have had from a tradesman in a long time!" "All I can say is that Jamie and Gordon are friendly and polite and they did a great job on the roof which now looks 100% better. 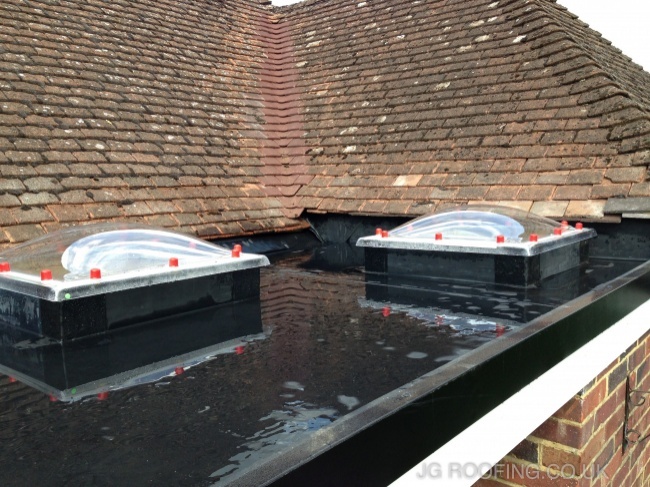 Would certainly recommend them to anyone requiring roofing work." "I was very impressed with all work done. The scaffolders were excellent and removed the scaffolding very quickly (2 days) after the work was completed. All the roofing work looks great and the property was left clean and tidy."